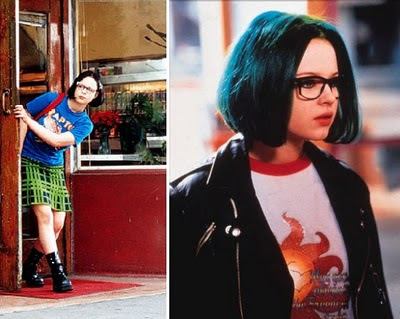 The 2001 film Ghost World by Terry Zwigoff is my favorite movie. It’s like me living in dreamland and she’s doing everything I was doing as a kid but up a notch. Not to talk about childhood but style. In this coming of age movie, Thora Birch played Enid, a girl who thinks and act different than your average barbie doll girl, more tomboyish and has a very special sense of style that I admired. Her style is very diverse, she could look like a punk in one scene and a sweet little cat lady in another. Some of the looks are inspirational for curvy girls who dare to try different styles. Luella paid tribute to the movie with a collection in SS08 before it ceased it’s business.